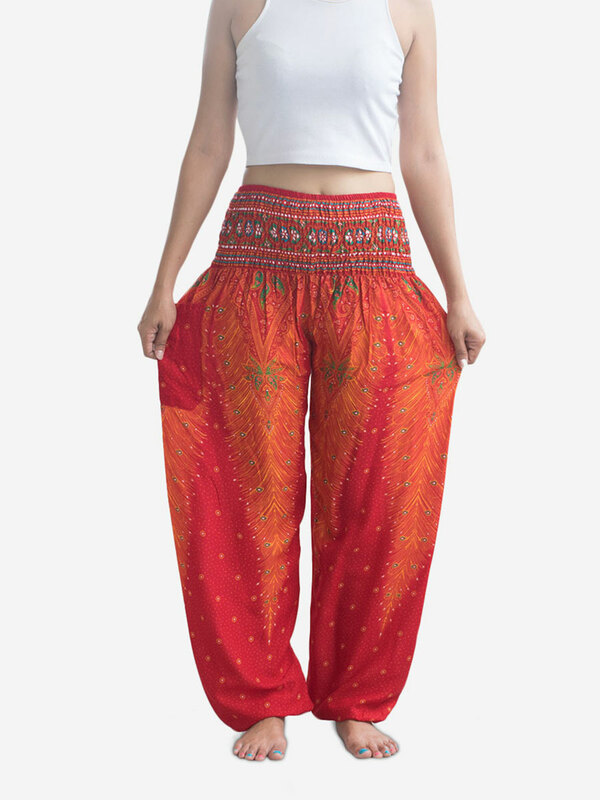 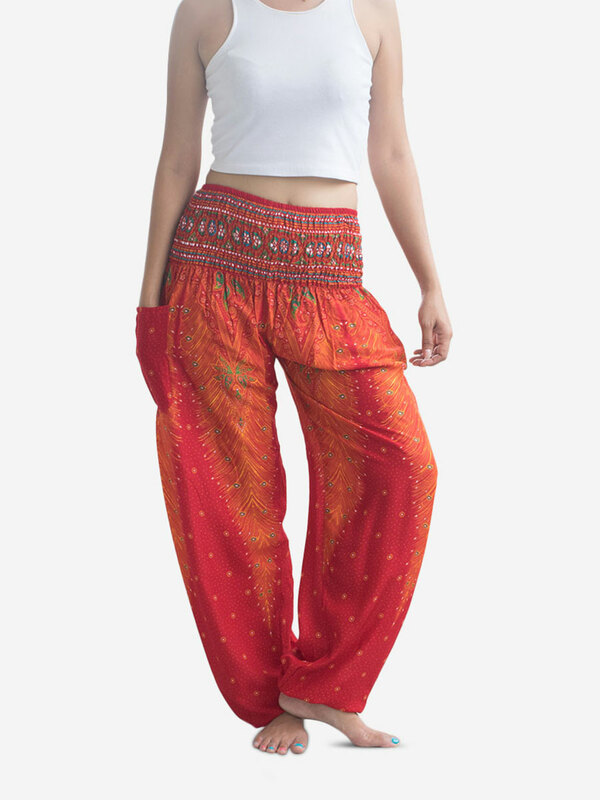 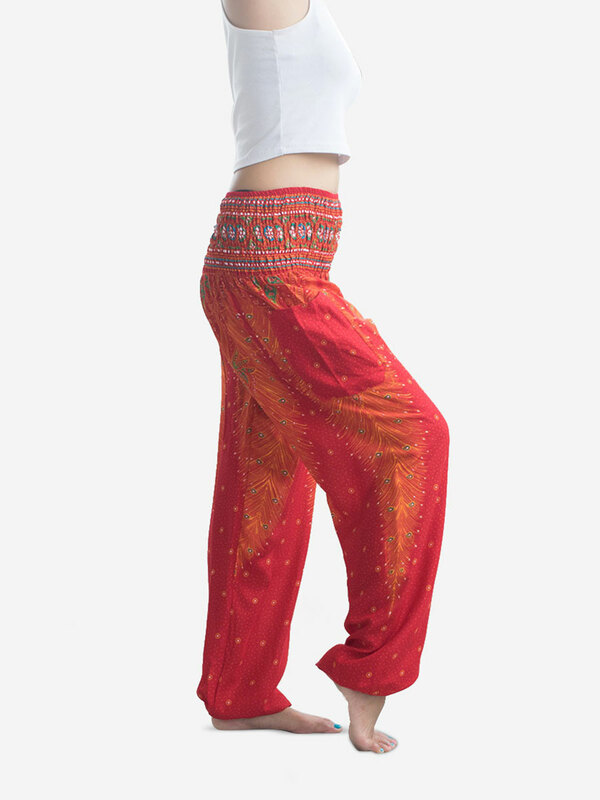 Thai harem pants with a peacock feather design in a beautiful orange & red shade and a traditional smock waist. 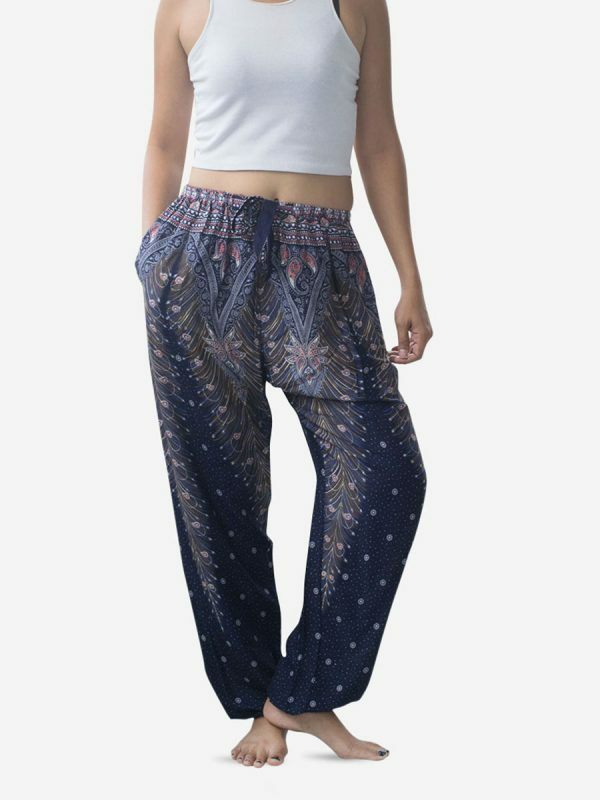 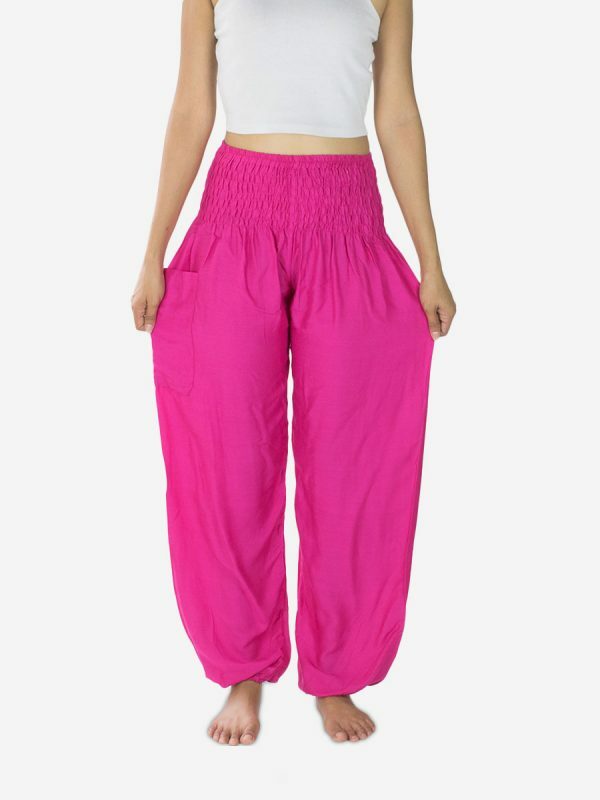 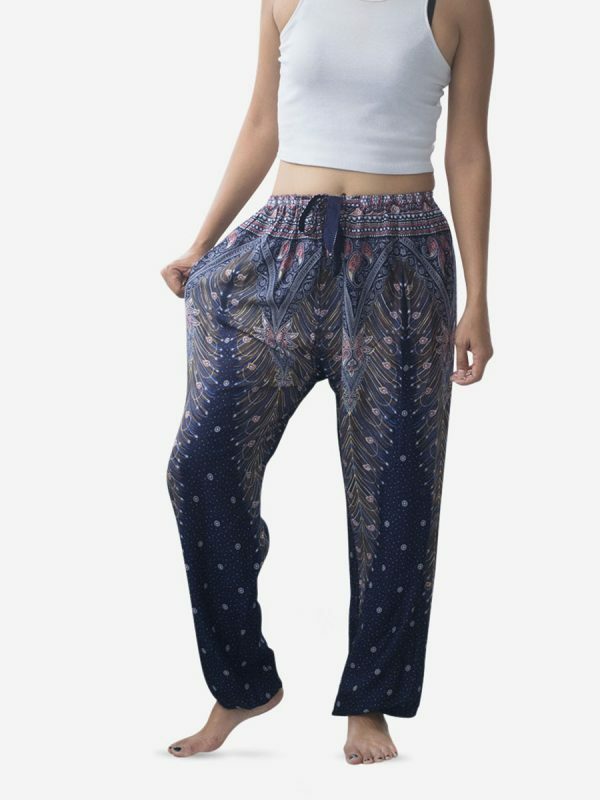 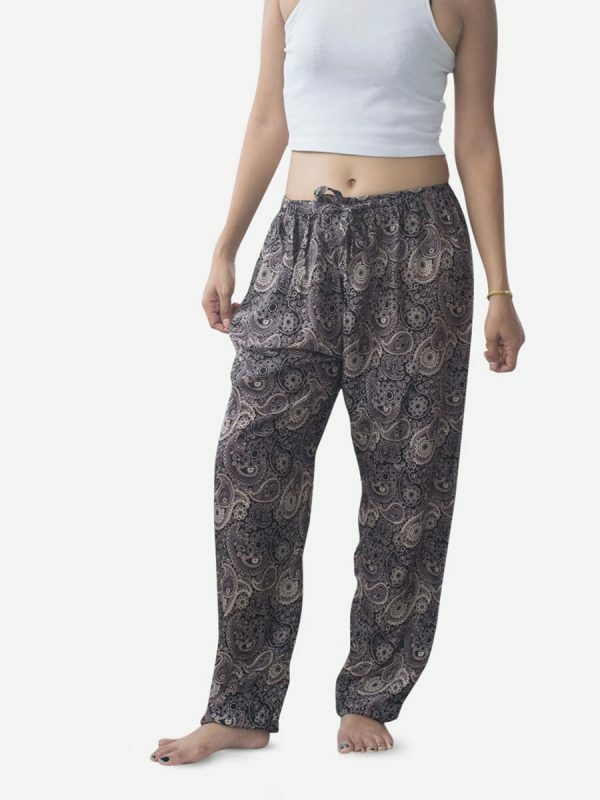 They’re ‘those’ Thai yoga pants, the elephant pants, aladdin pants – whatever name they go by, they’re the original, timeless classic. 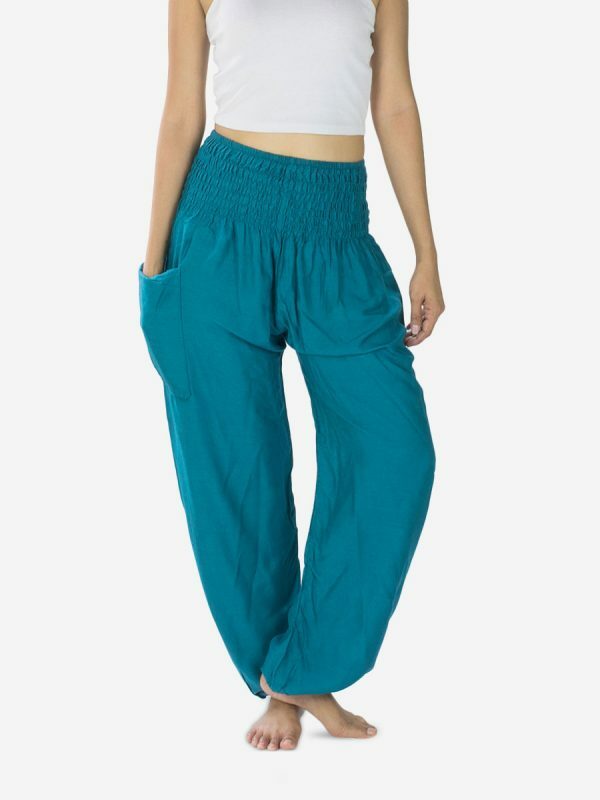 Made from 100% Thai rayon for a silky smooth, free-flowing feel and with an elasticated smock waist for the perfect fit. 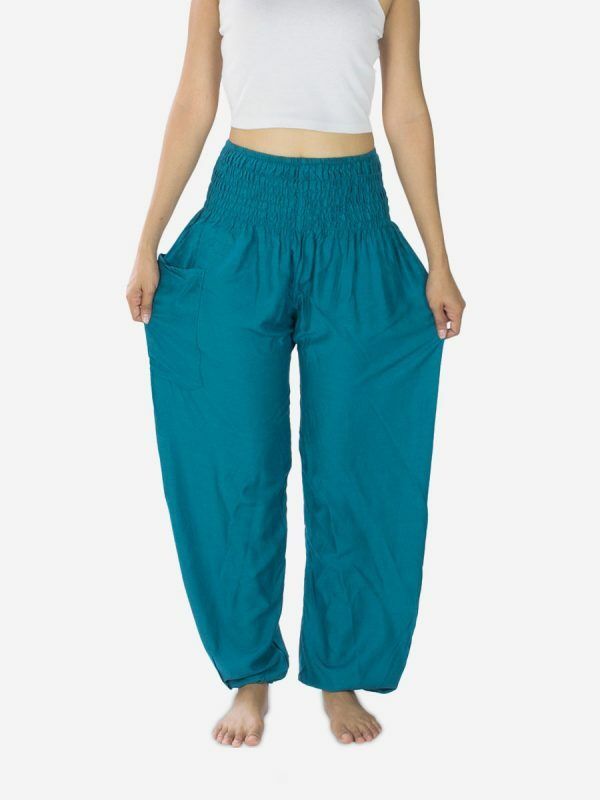 Waist: 24" to 38", Hips: up to 44", Inseam: 31", Total length: 42"